Fall is my favorite season and for some reason it brings in the most reader questions. This year is no different except that there was one dominant question that was asked in many ways. It has to do with how to block websites. The interesting part is that no age group or gender was excluded. I’ve got several solutions that don’t require you part with any funds. The suggestions below are a variety of solutions that are easily available. Each has its advantages and disadvantages. OpenDNS is a company that provides free DNS servers rather than using your internet service provider (ISP). I’ve been using the service for years, but didn’t realize all the features they offered until recently. One feature is the ability to block domains or group of domains. The service appeals to me for two reasons. The first is that it’s the fastest DNS service I’ve used. They were also immune to the latest DNS security issues that took place this summer. Second, the service is free. If you create an account with the service you can gain access to more features. If you need to restrict access, OpenDNS has over 50 category filters covering the usual suspects. Moreover, you can also choose to block specific websites. For a small yearly fee, there are enhanced services you can get such as faster DNS and support. When a browser goes to a blocked domain, such as the myspace.com example, an error message like the one below displays. Another way to block websites is with your router. A router is hardware that directs traffic between your network and the internet. Most popular routers offer some sort of “parental control” or “internet access policy”. The key for many people may be remembering how to use that administrative panel. Usually, you can find this information from the manufacturer’s website. The screen snap above represents the configuration panel on my LinkSys router. In this case, I’m allowing one PC to use the internet all the time except for the eBay domain that I’ve blocked. These options differ between manufacturers but may offer you the best option as the changes can apply throughout your network or to a specific PC or MAC address. Some of these systems also allow you to regulate Internet access based on the day of week or hour. This approach can be as easy or complicated as you like. We wrote an article about hosts files several years ago, but a more detailed write-up was done by the MVPS.ORG. The idea is that you redirect your web browser to go to another IP address, such as your local machine, rather than the intended site. 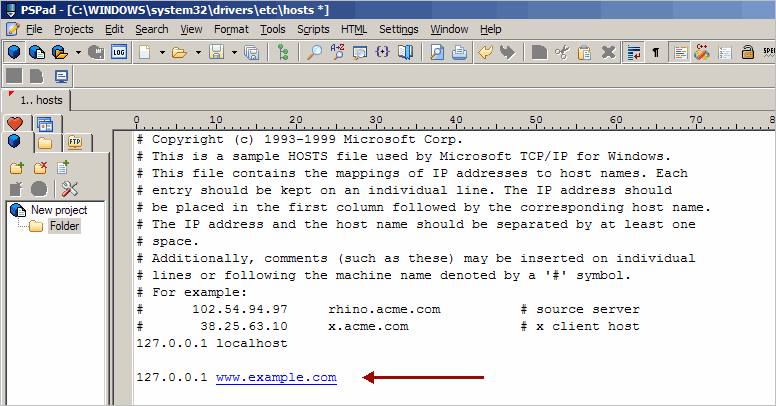 In most cases, the fix requires you add a line to the Hosts file using a text editor. In the example above, if I tried to connect to that site with Firefox, I get a “Failed to Connect” message. With IE, I get a message “Internet Explorer cannot display the page”. I also have a button to Diagnose Connection Problems. You need to have administrative rights to the Hosts file. 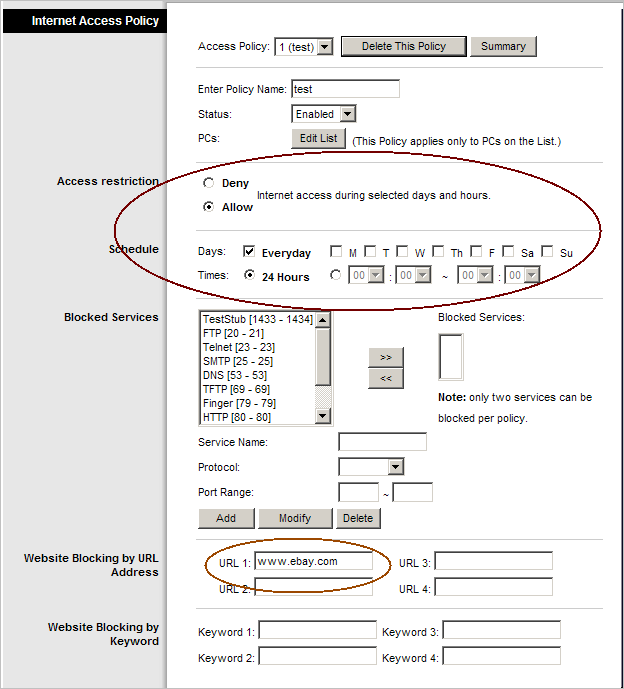 You may need to put multiple lines in to represent other pages being accessed in the domain. For example, if someone wants to reach a specific profile page or sub domain, you’ll want to add these blocks as well. You can’t assume people will always start at the home page for a site. Some sites also have canonicalization issues and can be reached using “www.” or without. The block will only work for this one computer. The above suggestions aren’t the only options for restricting internet viewing or access. There are commercial software packages that limit internet viewing. You may find another option is to use a service like RescueTime which quantifies viewing habits and program usage. It may show something about your own behavior. The point to remember about all these measures is people will try to get around them. This isn’t surprising if someone thinks a site is that valuable.